When Ken Gregory wrote an article titled "Clouds have made fools of climate modelers" it provoked a Pavlovian response from the climate scam's guard dog John Cook who immediately produced a rebuttal stating that : So while clouds remain a significant uncertainty and more research is needed on this subject, the evidence is building that clouds will probably cause the planet to warm even further, and are very unlikely to offset a significant amount of human-caused global warming. On the contrary it seems evidence is building that John Cook does not know what he is talking about. Cubby - Gleick guilty of a "ruse", not a crime! Ben Cubby of the Fairfax Fewfacts Media group says that Gleick "admits ruse that exposed institute's climate change agenda" and then like the fine warmist "journalist" he is, spent the rest of his article bagging the victim, not the perp! Cubby is one of the reasons the newspaper group is struggling so badly and he is not missed in the following satirical subscription rejection letter for the Age newspaper from Professor Bunyip. Yossarian from Catch 22 was a hypochondriac who worked his way through all major health threats but only worried about one disease each day to keep his sanity. I suppose Yossarian types in the UK listening to the Warmists would have to worry about drought and flood on alternate days for the same reason. The gormless Guardian says citizens are going to suffer from baking-hot days and floods. It does not say that the poor will mainly suffer because they can't afford electricity for air-conditioning due to the stupid green power schemes promoted by the paper! This is not something which will be distributed widely in the warmist press but the current freeze in Europe is causing great damage to the environment,animals and birds. The latest casualties are rare Dalmatian pelicans in Russia which are being hand-fed to help them survive. Imagine the uproar in the MSM if they were being killed by a record heat wave rather than by record cold. Politicians and bureaucrats in the UK have lost touch with reality when we read that 1.5 billion pounds is being spent in tackling climate change abroad . With the UK borrowing $5 billion every week this politically correct spending is economic lunacy of a type that only Greece would understand . The concerned scientists , whose op-ed article No Need to Panic about Global warming prompted a critical reply from Trenberth and his team , have now replied to those criticisms. "Oh dear, the patient is dead after our consensus diagnosis . It is is a travesty we don't understand what happened to him. It is probably something to do with the missing scalpel. We should never allowed Jim Hansen to measure the anesthetic dose and apply corrections. " 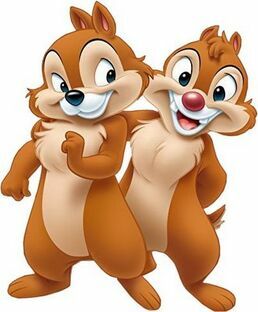 Apparently chipmunks in Yosemite are going to higher ground reducing species genetic diversity and this is caused by, of course, global warming. I think the chipmunks are the smartest of the protagonists in this tale because contrary to the "scientist's" claim Yosemite temperatures have actually dropped over the last century - a point that would be checked by any first year student! It beggars belief how many billions of research dollars goes into production of warmist pseudo-scientific twaddle. How many hospitals, roads , bridges could be constructed with the dollars directed to dopey research projects supporting the global warming scam. Right-wing journalists named as "deniers" in geography textbook! It is a sad day when the global warming scam is being taught in our schools to impressionable children but it is sadder still when it attacks and names those who oppose it. A NSW Grade 8 geography textbook pushes the alarmist line while rubbishing sceptics ,claiming that Big Oil is trying to discredit the work of "scientists". Andrew Bolt who has the story is named in the textbook! Incompetent Labor puts another $400 million down the gurgler! It is obvious that Labor should not be allowed to run a chook raffle following revelations that that they are spending $700 to provide set-top boxes to pensioners with non-digital television sets when a comparable unit is available for $19 at a supermarket. Alternatively a new digital television can be purchased at the same supermarket for under $200. The program will cost nearly $400 million dollars to add these boxes to ancient television sets which will probably be landfill very shortly. Cubby's grubby journalism slimes Professor Carter twice! Fairfax newspapers are losing money hand over fist but when there was a whiff of change after right-wing billionaire Gina Rinehardt bought into the company SMH journalists went ballistic, bleating that she would exercise some editorial control over the left-wing rag as if somehow that were bad. Someone needs to do something to resurrect the media chain because the reason people are not buying the paper is because it prints so much crap! One of the major contributors of bovine excreta masquerading as news in Fairfax papers is environmental reporter Ben Cubby who unsurprisingly is a true believer in the Global Warming hoax. His story is of the "when did you stop beating your wife" variety which is very difficult for Bob Carter , a fine academic, to refute. Shark attacks caused by global warming or maybe cooling? Another entry for the "global Warming causes everything " list but this is more dopey than most suggesting that sharks suddenly reacted to a change in temperature from 2010 to 2011 and doubled fatal attacks. However this drivel was picked up by AFP and splashed around the world as fact. 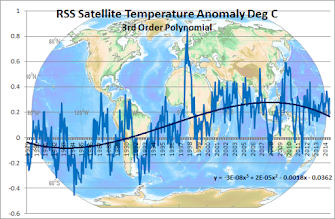 The "scientist" involved neglected to tell us that in 2011 the ocean temperature was dropping rapidly as shown by the Hadcrut figures and an alternative theory could be that the attacks are caused by "global cooling" but that would not suit the Warmist propaganda machine. Sharks killed twice as many swimmers and surfers last year than in 2010, with the increase due largely to a growth in tourism and changing shark patterns due to global warming. There were 12 deaths in 46 shark attacks in 2011, a mortality rate of more than 25 percent compared to an average of under seven percent in the last 10 years, according to statistics from the University of Florida. Countries that recorded shark attack deaths included Australia with three fatal out of a total of 11 attacks; South Africa, two fatal out of five; the French island of Reunion, two deaths in four attacks; and Seychelles with two attacks both of which ended in death. 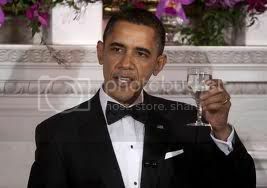 Obama's Grand Finance Plan - Borrow 2.5 Billion per day! The US has big problems and they are not going to be solved while the Manchurian Candidate is driving the country into bankruptcy with a proposed 1 trillion dollar deficit and it boggles the mind that even his own Democrats would accept that. Of course the Conservative mind has been shown to be inferior to the liberal brain and maybe that is why conservatives who think spending should be reduced cannot understand Obama's brilliant financial solution as well as Democrats The problems of Greece caused by spending money they did not have has been a salutary lesson for all except for Obama who recently had the unmitigated gall to lecture Europe on the necessity to fix their financial problems. Julia's time as PM can now be counted as days and not months following a bad Newspoll giving the Coalition a 10 point lead when Labor was hoping for an upturn. An election today would leave Labor with a fraction of the seats they now have and back-benchers will not stand idly by and let that happen. The knives are being sharpened and Labor's faceless men will move soon to install a replacement . Whether that will work remains to be seen and one is reminded of a comment added to a New Labor billboard which said "Same old sh*t,new flies" . The carbon tax and other bad policies are the problem and Labor cannot easily walk away from them. Carbon Tax the killer for Gillard's economic credentials! Julia Gillard , with the Labor party way behind in the polls has recently attempted to shift the focus to economic management . 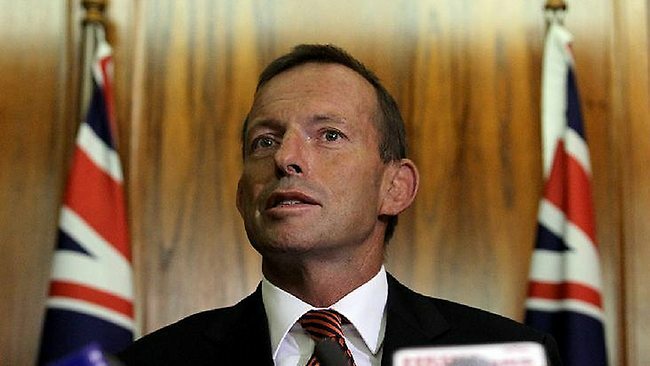 The latest Newspoll is a body blow to Labor with Abbott convincingly preferred to Gillard as an economic manager. Dennis Shanahan says that Gillard lost all economic credibility with the introduction of the carbon tax. Chris Mooney ,author on the Republican Brain , follows up in the HuffingPost with more twaddle which would be more acceptable in the Third Reich than today . One would have thought that the type of theories that painted those that do not agree with the Global Warming world order as having psychological and genetic problems died with Hitler but it seems that the new Greenshirts have resurrected those ugly ideas. Mooney has painted the picture of bad defensive conservatives "attuned to the threatening aspects of their environments" whereas the good "liberals" "try things out and seek the new" . I guess it is only our modern society which has allowed survival of the liberal elite because in prehistoric times they would have been eaten while those attuned to defense survived. Reading Mooney's tripe makes one realise sadly how much our gene pool has deteriorated when those traits that have allowed the human race to survive and flourish are denigrated by those who do not have them and hold up their lack as a virtue. Gilbert and Sullivan dealt with those types in their day with crushing satire which is still relevant today. Today we are more direct and less poetric and words like wankers would be considered appropriate! 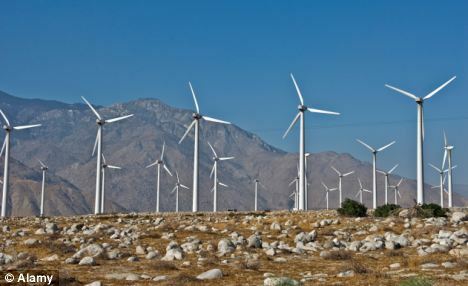 Huhne's exit gives Cameron a chance to end scourge of wind turbines! The irrepressible Melanie Phillips ,England's answer to our Andrew Bolt ,says that Huhne's leaving gives the chance for some sanity to return to the UK wind power debate. 100 Tory MPs have written to the PM demanding action on the huge subsidies being paid for these ugly structures which provide intermittent and expensive energy. We have become used to the Warmist glitterati exhorting us to follow a spartan low carbon lifestyle while they are living in football field size homes and flying around the world in their private jets. To be fair they often have a token Prius in the garage along with the row of limousines and only drink ethically grown coffee to show they really care. The Climategate emails give us a glimpse into the thinking of the "scientists" who are pushing the apocalyptic theory of Global warming and like the walking pigs of Orwell's Animal Farm the "four legs good,two legs bad" principle is not for them, only for the masses. In Jones's case reduction of air travel is not meant to apply to him. There is only one view worth listening to - and that is what IPCC says on the subject. Climate change is happening, it will continue to get warmer and all the things said in the SPM. I understand how awkward it is when the public and fellow scientists see programmes like that produced by Channel 4 a week or so ago. There were barely any climate scientists on the programme and the few that were had their views distorted. Why the media (both paper and TV) want to portray divisions is beyond me. Amongst climate scientists (and I know I define who these are above, so it may seem awkward) there is almost total unanimity on the fact that the climate is changing and will continue to warm. Even the measures proposed in Britain don't go far enough to stop most of the effects. This is a personal opinion. Aviation is the fastest growing sector for emissions, but still quite small. We have done without mass flying until recently. It seems as though we could do without it now. This is hypocracy on my behalf, having just flown in from the US and off to Korea on Sunday. One was a meeting of a project and the next is to talk to the Korean Met Society, so I'm not practicising what I'm preaching. I am also not inclined to place too much faith in a "scientist" who can't spell! 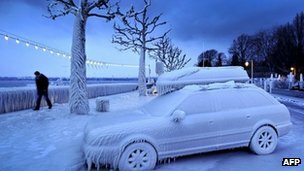 Incredibly cold temperatures as low as minus 40 degrees centigrade have devastated Europe with the third savage winter in a row looking like a trend which might send a message to Warmists. Phil Jones and the non-scientific method! You would not get a more obvious example of confirmation bias than that of a paper submitted by Climategate "scientist" Phil Jones. The reviewer of his paper who , unlike the good professor understands scientific method suggests to Jones that the aim of the paper should be to analyse data and draw conclusions from that analysis. This of course is in direct contrast to Warmist "science" where the results of any analysis are already known - it is just a matter of finding some way, no matter how circuitous or illogical , to justify the conclusion and feed it to gullible believers. Australian Prime Minister Julia Gillard is finished and now the sharks are circling for the kill. Gillard will not survive the continuing poor polls and moves are on to replace her. This will be a blow for the opposition as any replacement will be more difficult to dislodge from office than the unelectable Gillard, Kevin Rudd is the probable replacement but he is intensely disliked by most of the senior Labor MPs and a third candidate may emerge. Unfortunately the iniquitous carbon tax will not go away with a leadership change. Travesty Trenberth attacks real scientists! 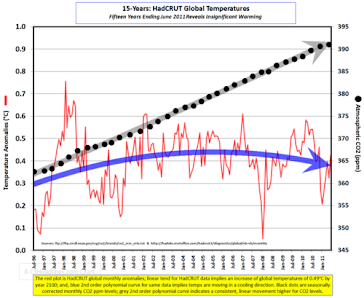 Trenberth's "The fact is that we can’t account for the lack of warming at the moment and it is a travesty that we can’t" was the second most famous quote from the infamous Climategate emails after of course "hide the decline". The author of this gem has the hide of an elephant and with no embarassment returns to attack real scientists like Richard Lindzen for a skeptical article on global warming in the Wall Street Journal.